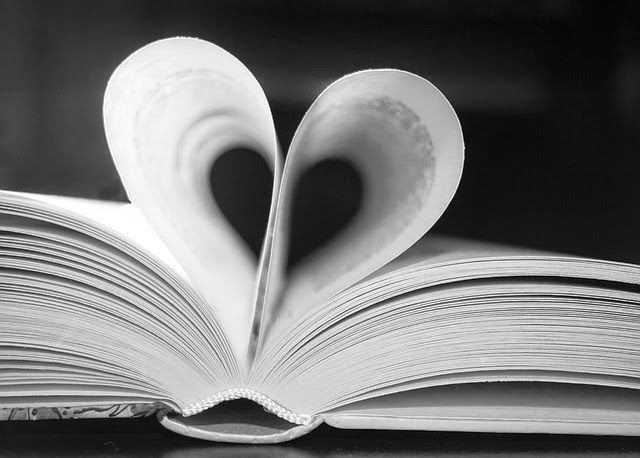 Adventures In Storytime (and Beyond): Preschool Storytime - Sink Your TEETH Into a Good Book! Preschool Storytime - Sink Your TEETH Into a Good Book! Apparently last month was Dental Health Month, but I was unaware or I would have done this theme then. I was inspired by Jan Thomas' latest book, and it just took me a while to have a chance to decide what to use with it. 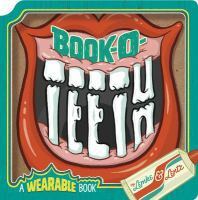 We started with our welcome song, then I used this fun little board book, Book-O-Teeth by Donald Lemke and Bob Lentz, to introduce the topic. We settled back down for our next book by singing our story song. Since we had just mentioned cleaning our teeth, I decided to read Does A Lion Brush? by Fred Ehrlich and Emily Bolam, which starts off asking if various animals brush their teeth. It then explains they don't need to because they gnaw and chew on hard things like carrots, bones, and wood which keeps their teeth clean (I also added that animals don't eat/drink all the sugary treats that we do, either). Then it talks about how everyone needs to brush their teeth (and floss), as well as how many teeth we have. This is the way we chew our food, chew our food, chew our food. This is the way we chew our food, so early in the morning. This is the way we floss our teeth, floss our teeth, floss our teeth. This is the way we floss our teeth, so early in the morning. This is the way we rinse our teeth, rinse our teeth, rinse our teeth. This is the way we rinse our teeth, so early in the morning. Poor dog cannot find his toothbrush, but Donkey offers to help look for it. But Donkey doesn't know what a toothbrush is, so keeps finding hilariously wrong items instead. Finally, Donkey says he gives up and needs to get back to scrubbing his hooves. But, guess what he is using for that! 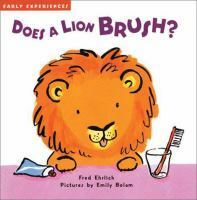 I led into the next activity (inspired by SLC Book Boy) by reminding them of how we talked them having baby teeth that would eventually loosen and fall out as they got older and be replaced by grown-up teeth when we read Does A Lion Brush? I asked them if they knew what you did with the baby teeth when they fell out. Some said "throw them away" while others (probably those with older siblings) said "put it under your pillow". I asked them why, and several did know that the Tooth Fairy came to get your tooth and leave money. I told them we needed to help the Tooth Fairy find which pillow the tooth was under. 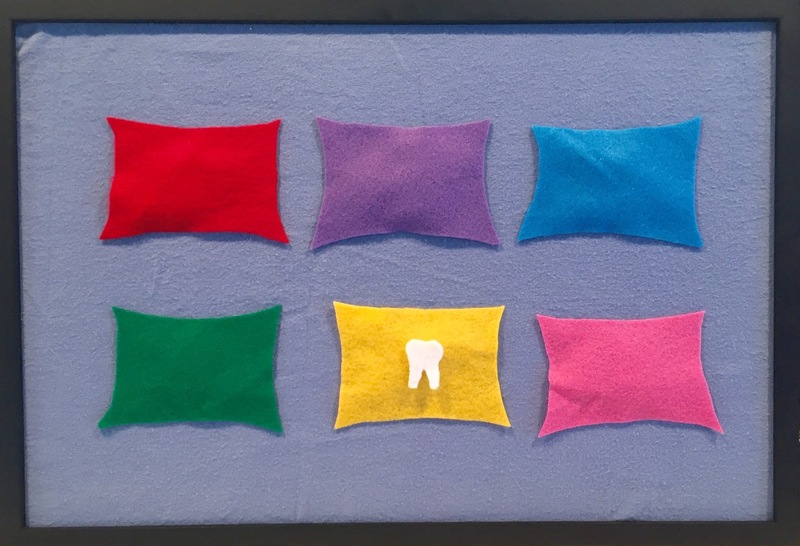 Obviously you would put the tooth under one of the different colored pillows, but I left it on top so you could see it. You can make as many pillows as you have room for on your board, and could include more than one tooth if you wanted. I also had a stick puppet of the Tooth Fairy made from laminated clipart, but forgot to include it in the photo. "Can you find the tooth for me?" There are a few ways you can do this, with either letting kids take turns saying the last line and choosing the color, or letting kids take turns looking under the pillow as the present says the last line. They really liked this, and would have played it many times if time permitted, though we just did it twice. 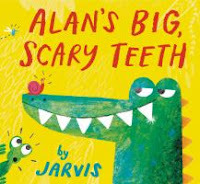 For our final book, I read Alan's Big, Scary Teeth Jarvis. Alan is a big, scary alligator from a long line of scary alligators. He loves to show off his big, sharp teeth and scary all the other animals by snapping his teeth and growling at them. But, he has a secret. His teeth are not real! One day he loses them and finds everyone laughs at him instead of crying in fear, and he is very sad and embarrassed. But, in the end he finds a much better way of being scary. After that, the kids asked to do "Five Little Monkeys Swinging in A Tree" so they could do the big alligator jaws snapping, so we did, and then ended with our closing song and passed out stickers. This storytime went very well, and the kids were surprisingly enthusiastic about teeth, and I was surprised at how many good books I found. There was one called What If You Had Animal Teeth? by Sandra Markle I think they would have liked, too, and there is another non-fiction book called Whose Teeth Are These? that I know they would have liked, but I did not have a copy available. They seemed to like all the books and activities, and showing off their own pearly whites! Fortunately, their teeth all looked it great shape!